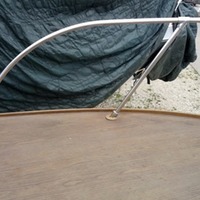 It was a balmy 39º on Saturday March 31. 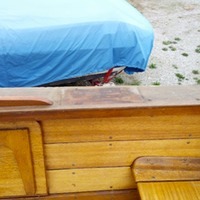 My Dad's 25' 1965 Lyman was waiting in the yard for us to begin pulling off the brightworks and windshields in preparation for the refinishing of the teak deck and mahogany hard top. 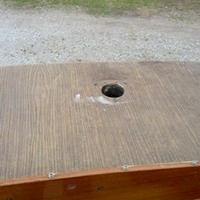 All of the pieces that were load bearing such as the safety rail around the bow and docking cleats, where bolted through the deck. 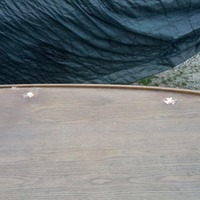 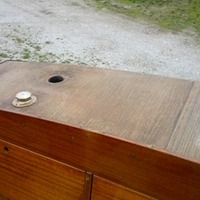 The rest of the pieces like the vents and scupper covers were just screwed into the deck/top. 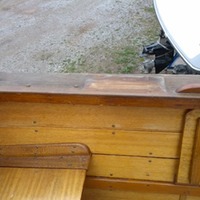 We started with the safety rail around the bow on the starboard side and moved around the boat counter clockwise. 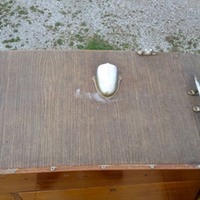 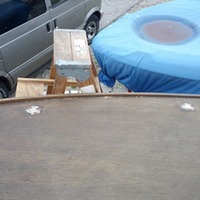 Once the safety rail was off and safely stowed in my Father's van, we removed the hatch that opens in the bow and moved on to the cleats and scupper covers midship port side. 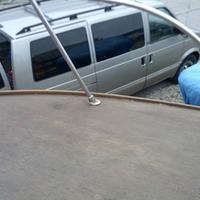 Next were the step pads, cleats, and vents on the port side stern. 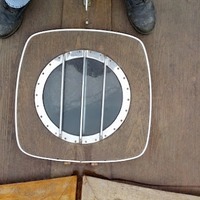 Then, the step pads, cleats, and vents on the starboard side stern, and finally the cleats and scupper covers on the starboard side midship. 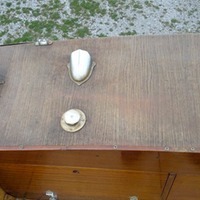 Lastly we removed the port and starboard windshields. 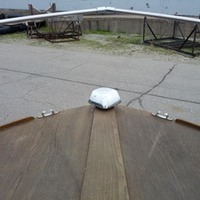 All the pieces were labeled with their location and put into a box and the boat was covered with a tarp that stretched from the back of the hard top to the bottom of the bow. 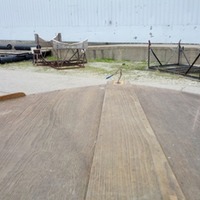 The slideshow shows some before and after shots of the process.